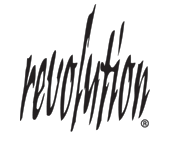 Revolution® - Entirely new and unconventional line of gloves exclusively developed and designed by Caiman®, featuring 3-dimensional form-fitting Kontour™ patterns to maximize functional and aesthetic value. Non-conventional, high quality materials are strategically placed to maximize protection, comfort and dexterity. Kontour™ - Exclusive form-fitting 3-dimensional patterns to maximize comfort and fit. Kontour™ series conforms to the natural contour of the human hand and provides proper finger alignment to achieve unprecedented comfort and dexterity. Boarhide™ - Garment-grade pigskin specially prepared to offer unique and superior qualities for demanding industrial environments. 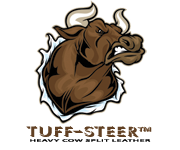 Pigskin naturally has very tight and fine fibers making it more puncture, cut and heat resistant than cowhide of equal weight. Multi-Activity Gloves™ - Designed with the knowledge and experience gained over 31 years in the manufacturing industry. Caiman® utilizes unconventional and exclusive design to create the most comfortable and stylish gloves without compromising safety. From industry professionals to the weekend DIY’er, the Caiman® M.A.G.™ has been the glove of choice for the toughest jobs. Heatrac® - Insulation that is made of non-woven micro-fibers to create air pockets and laminated with knitted fleece for comfort and moisture wicking action to keep hands dry and warm. Heatrac® has an excellent weight-to-thermal factor which provides efficient insulation. Heatrac®II is a newer, lighter weight version to promote comfort and dexterity. Genuine American Deerskin – The most pliable leather used in industrial application for unmatched comfort and dexterity. Deerskin is very luxurious and is often used in Caiman® gloves for their lasting comfort and durable wear. Unlike other leathers, deerskin is truly washable and dries soft. Caiman® gloves are made of both top grain and split leather to best utilize the finest qualities of deerskin. Most commonly used deerskin are from whitetail hides tanned in the Northeast, U.S.A.
Genuine USA Elk Skin – Much heavier, firmer than deerskin and offers drastically better puncture, abrasion, and heat resistance with exceptional durability. Elk skin offers full body weight yet is pliable and luxurious to feel and has extraordinary durability that no other natural hide can match. 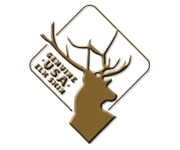 Supply of American Elk is limited to annual harvest and limited processing facilities. Availability of elk skin may vary from year to year. Caiman® elk skin gloves are made of 100% wild American elk, tanned in the U.S.A.
Tuff-Steer™ – The most common, affordable leather with reasonable durability and comfort. Quality and characteristics affecting wear and comfort may vary greatly depending on type of tanning, selection (grade), and between grain and split leather. 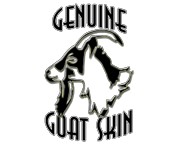 Genuine Goat Skin – Probably considered as one of the toughest leather, pound for pound. The leather is considered extremely durable and has excellent puncture & abrasion resistant characteristics. Goatskin offers maximum durability for its weight (thickness) and comfort. Most goat skin originates from Eastern Africa, South Asia and China. Rhino-Tex™ - High-Tech innovative synthetic fabric often used to replace lightweight leather for consistent material quality, reasonable wear and tear strength, and for high volume production. Kevlar® - Developed by DuPont, an aramid fiber that is five times stronger than steel, pound for pound. Selected Caiman® products are sewn with 100% Kevlar® thread for maximum seam integrity, safety, and extended product life. Aerofoam™ - Insulation material for industrial application gloves. Aerofoam™ consists of regular or flame retardant cotton fleece laminated with open cell foam in various thicknesses, providing insulation and comfort. Heatflect™ - Aluminized insulation to reflect radiant heat. Impact-X™ - Heavy duty, shock-absorbing knuckle protector. Washable / Dry Soft – Genuine American deerskin leather is truly washable and dries soft. Armortex™ - Innovative fabric made of Kevlar® and high-strength polyamides to provide stretchable, anti-slip, abrasion-resistant protection. G-Grip™ - Anti-slip traction patches strategically located to provide maximum grip. 3M™ Scotchlite™ - Reflective material recognized as the leading high performance retro-reflective material for enhancing worker visibility.